From a young age Ciarán displayed a keen interest in sport. 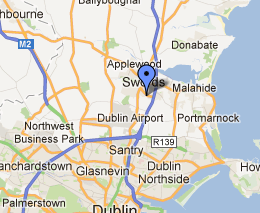 He played football at the highest level representing Ireland and playing for Bohemians and Sporting Fingal. Over time, Ciarán's interest in sport developed into a passion for health. Driven by his own personal experience, Ciarán achieved National Qualifications with the NTC in Neuromuscular, Physical Therapy and Orthopaedic Sports Massage. 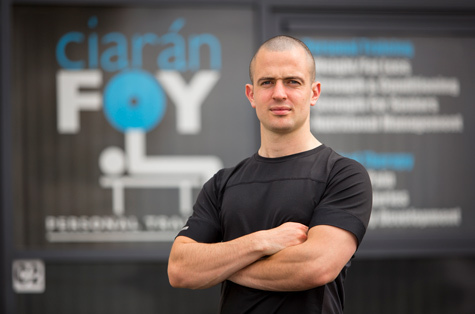 Ciarán has an ITEC diploma in Gym Instruction and is a PICP Level 2 Strength and Conditioning Coach. Most recently Ciarán became a full time provider of Active Release Techniques, a revolutionary approach in treating and healing soft tissue injuries. Ciarán continuosly updates his studies attending annual courses and seminars. Strength Training For Athletic Development, 10 Habits for Ultimate Health, Advanced Program Design, IFKK Certified Kettlebell Instructor. Ciarán offers an elite service that is matched by none. His abilities as a therapist and trainer, combined with his knowledge on nutrition forms a platform from which any client can succeed.